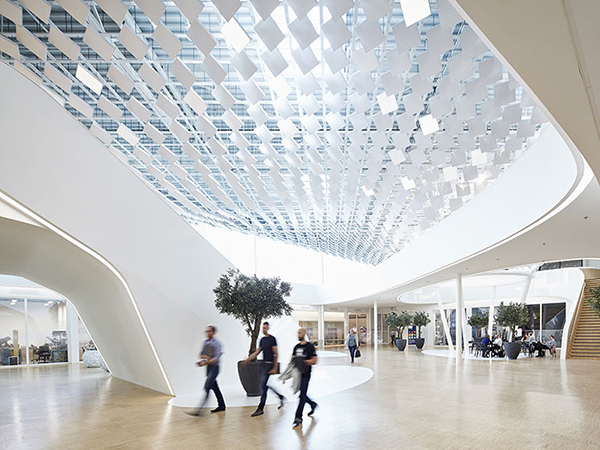 The new Signify/Philips Lighting headquarters has a spacious atrium which is particularly suitable for a grand gesture, and that couldn’t be anything else than a lighting sculpture of course. 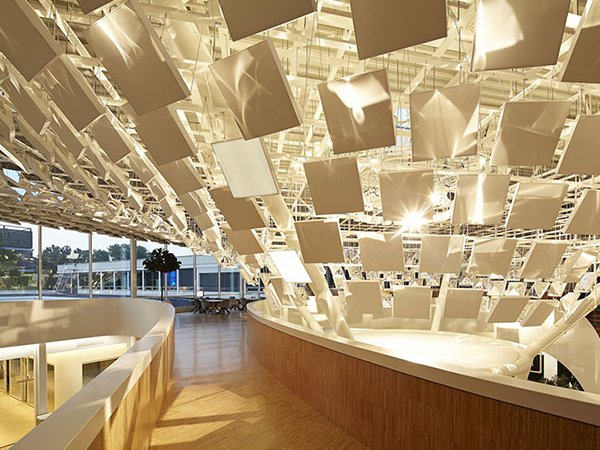 In close cooperation with Signify/Philips Lighting and LAVA architects, Beersnielsen was responsible for the spatial sculpture with dynamic panels that is located in the hart of Signify’s/Philip’s Lighting Application Center at the High Tech Campus in Eindhoven. The aim was to design a space that both embraces the innovative and people’s core values of the brand. 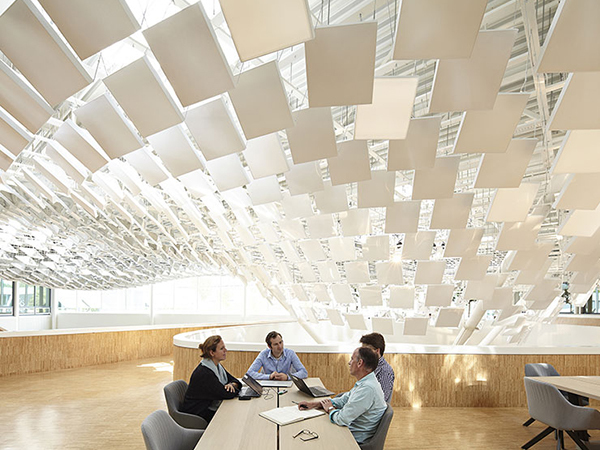 The design features an inspiring and healthy work environment for the Signify/Philips employees. Light is used for: information, visualization, emotion and stimulation. Therefore it has been a search for the original meaning and most natural understanding of light. 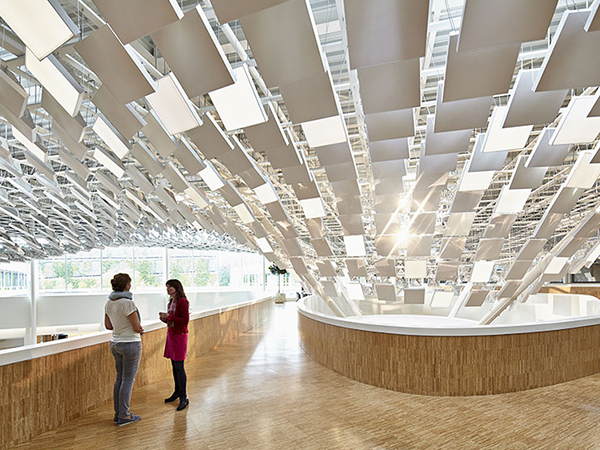 The end result is a parametrically designed Light Tree, containing 1,500 hanging panels which cover the whole atrium. This giant tree demonstrates the behavior of light, both natural and artificial. 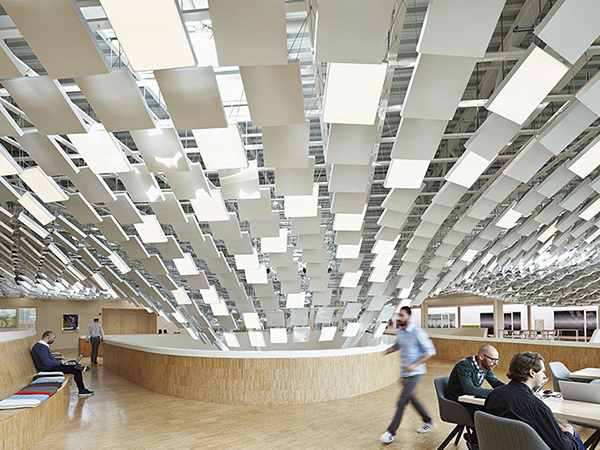 A pyramid shaped reflector on the back of each hanging panel creates a play of light and shadow. During the day 500 spots provide changing light scenarios, supplemented with 50 fixtures placed in the center of the sculpture which create the ‘Golden Light’. The idea of sunlight, light sparkles on water, or the dramatic play of colour, light and shadow at dusk and dawn. 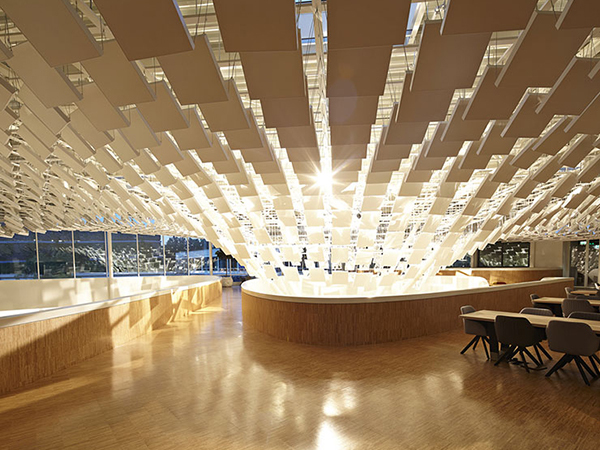 Because of this giant tree the light in the atrium transforms automatically, totally random from alluring light to refreshing or even energizing light. 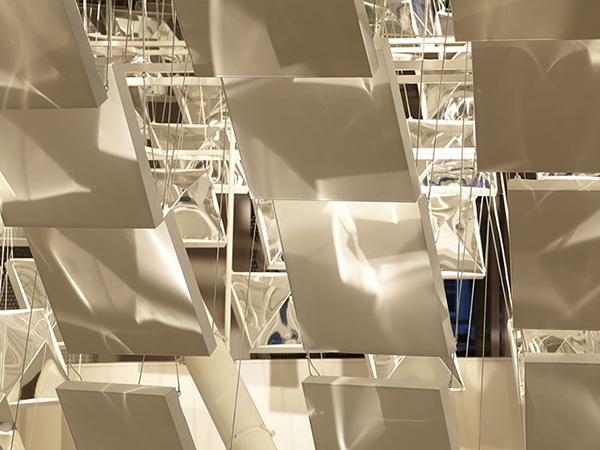 To enhance the quality of the Light Tree, LAVA developed a light control application which allows individual control over each 500 light panels and 50 light fixtures. It uses low-level artificial intelligence to derive daily light scenarios in an organic and non-repetitive way. Scenarios respond to year’s season, time of the day and architectural layout of the atrium space. 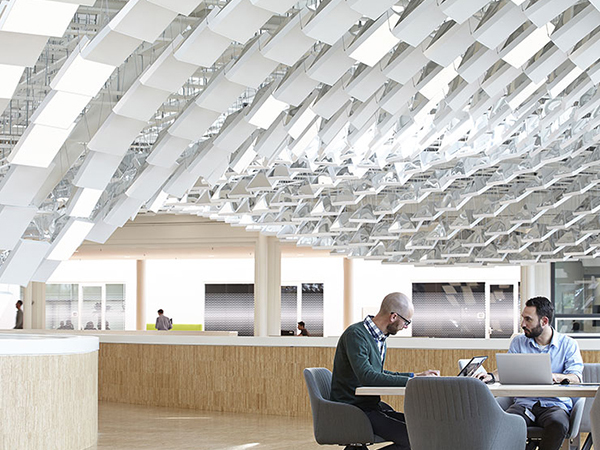 The combination of natural light, physical representation and intelligent light control creates an innovative space-light office ecosystem. We also made a video of the golden light. 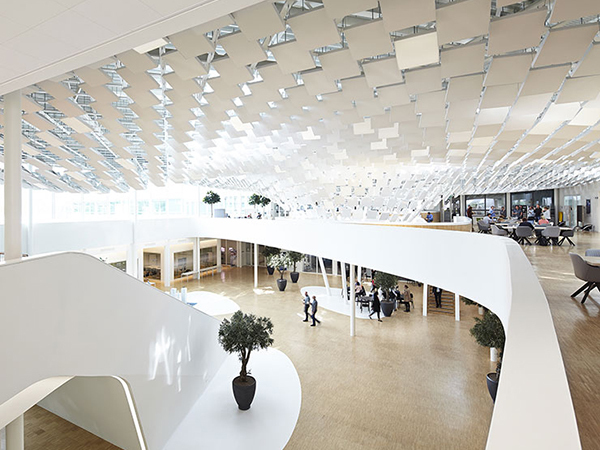 For a low res video click here, for a high res video of the golden light in the Philips Lighting HQ click here.